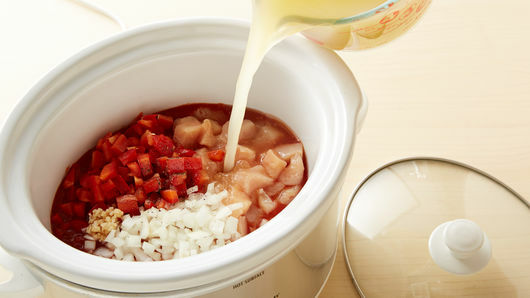 In 5-quart slow cooker, add onion, bell pepper, garlic, chicken, crushed tomatoes, broth, salt and pepper. Cover; cook on Low heat setting 5 to 6 hours or on High setting 3 to 4 hours or until chicken is cooked through and vegetables are tender. 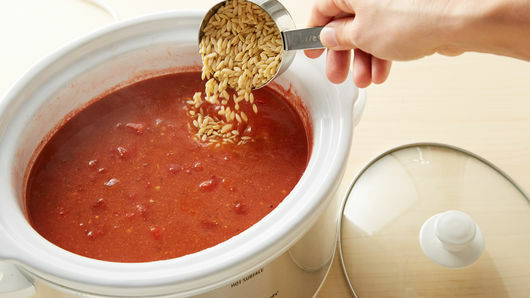 Thirty minutes before serving, stir pasta into slow cooker. Cover; cook on High heat setting about 30 minutes or until pasta is tender. Meanwhile, in 10-inch skillet, melt butter over medium heat. 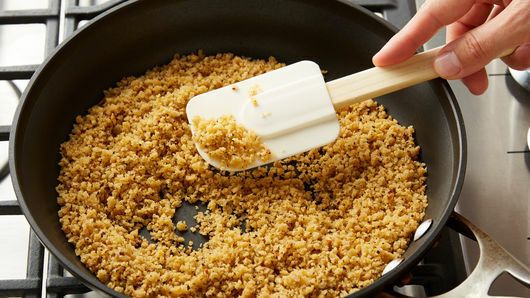 Add bread crumbs; cook 3 to 4 minutes, stirring frequently, until golden brown. Top soup with shredded cheese and toasted bread crumbs before serving. Garnish with chopped basil or parsley. Stir in 1/4 teaspoon crushed red pepper for a little kick. 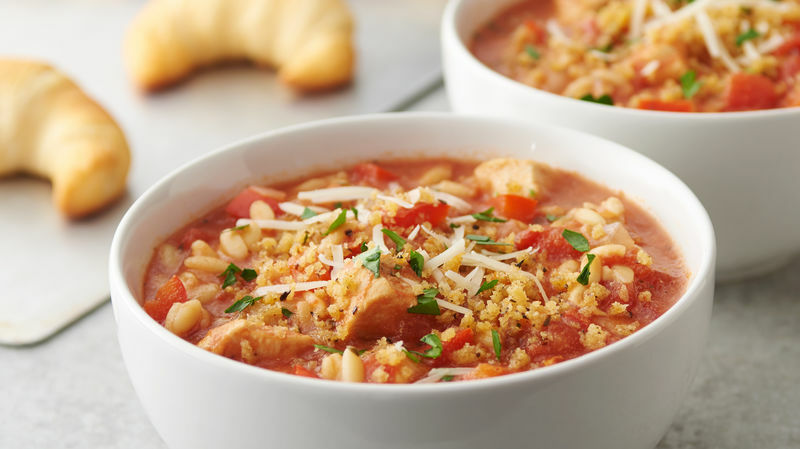 Orzo pasta works well in this soup because of its small size. Ring pasta or small elbow macaroni would also work as a substitute.